When the fiery ball in the sky sinks beneath the western horizon in Tenerife, the young, party-hearty travelers that frequent this popular subtropical getaway come out to play. This sun-kissed Spanish isle has developed a reputation for developing a nightlife scene that compares favourably with other European party islands like Ibiza (another Spanish possession … man, these guys sure know how to party!) and Corfu in Greece. As such, those seeking to groove to the beat of the latest house, trance and R&B music know that any old club simply won’t do. They are here to seek some of very best good times that can be had in in Tenerife, and if you are one of them, let webtenerife.co.uk and this post guide you in the right direction. In the following paragraphs, we shall discuss the best nightlife in Tenerife so that you can truly have a night to remember! Those seeking to get their dancing groove on whilst feeling the sand between their toes should make a night out at the Monkey Beach Club a priority. Located near Playa de Las Americas, this club cranks out the dance tunes to the pace of a frantic strobe light, and with beers going for 3 Euro all night long, your buzz will be maintained with minimal pain for your wallet. Those looking for a more traditional club environment will find Blanco Bar to be an excellent addition to their clubbing itinerary while on Tenerife. Situated in the biggest town on Tenerife, Puerto de la Cruz, this uber cool club feeds off the energy of this party town, bringing in hordes of eager party people from late evening onward through the night. The drinks here are even cheaper than at Monkey Beach, with a mere 2 Euro needed to keep a bottle of suds in your mitt. Be sure to dress to impress, as shabby clothes may deny you entry here! You may be countless kilometres from the Emerald Isle, but for those seeking a pub atmosphere on the island of Tenerife, there is no better bar stool to mount than The Dubliner. The warm weather here lures many talented musicians from the soggy winter shores of the mother land to its quarters, giving this establishment a fine reputation indeed for live music! Tippling On Tenerife: Always A Good Decision! While Tenerife has many assets to draw sun starved northerners to its shores, for the young and young at heart, the vibe within their souls requires a place with a bumping nightlife in order for their holiday to be considered a smashing success. Tenerife passes this test with flying colours, as we believe this list will get you started on many epic nights on this island in the very near future! 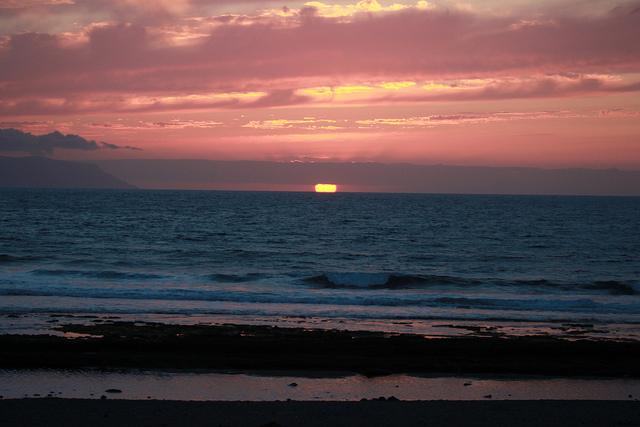 Enjoy Tenerife on a Budget! As one of the most popular summer holiday destinations in Europe, Tenerife has developed a thriving tourism industry, with a wealth of excellent attractions, restaurants and other amenities. However, don’t get fooled into thinking a trip to island has to be expensive, as there are plenty of options for budget travelers looking for a cheap holiday in the sun. While it’s certainly possible to spend a fortune indulging in fine dining, visits to water parks and scuba diving excursions, it’s also very easy to have a truly amazing time here without giving your wallet a workout. After all, when you consider that Tenerife is a volcanic island sprinkled with charming historic towns, gorgeous beaches and unique landscapes, it becomes clear that the isle itself is one giant tourist attraction, and exploring this amazing location is free of charge. There are also plenty of cheap hotels in Tenerife for those who don’t want to spend a packet on an all inclusive resort, and you’ll find lots information about budget accommodation here. Once you’ve booked your stay you’ll need to start thinking about how you’d like to spend your time (without spending your money) on the island. To help you, we’ve put together a brief guide to enjoying Tenerife on a budget. While the popular resorts of Los Cristianos, Playa de las Americas and Costa Adeje are full of the kinds of restaurants that thrive on big-spending tourists, the north of the island boasts its own unique gastronomical culture that is centred small eateries called guachinches. These are basically small makeshift food stalls serving home-cooked dishes using local recipes and ingredients. In accordance with Canarian culture, each guachinche only remains open for three consecutive months at a time, serving no more than three dishes, and usually will only be advertised by a small wooden sign. Because of this, they tend to be frequented more by locals than tourists, so taking the trouble to find one is a great way to discover some authentic Canarian cuisine at an extremely affordable price. Typical dishes include ceviche and other seafood recipes, as well as crinkly chips known as papas arrugadas. Rather than splashing out on boat trips or days out at theme parks, why not try exploring the island itself? This way you’ll get to learn more about Tenerife’s history, culture and nature for next to no money. One place that’s worth visiting is the small town of Garachico on the northern coast. Once the island’s main port, the village’s development was stopped in its tracks when the harbour was destroyed by a volcanic eruption in 1706. Many historic buildings such as the Santa Ana Church and Convent of San Francisco remain, while visitors can also take a dip in the volcanic rock pools, which were created by the same eruption that devastated the port. Elsewhere, the Teide National Park is home to Spain’s tallest mountain, Mount Teide. This amazing landscape is home to several species of flora that are not found anywhere else in the world, including the beautiful tower of jewels. Taking the cable car to the summit offers amazing views across the island, and is a great way to spend a cheap day out. One thing Tenerife is famous for is its climate, and there’s no charge on sunbathing. With so many beaches to choose from you can spend your entire trip discovering the amazingly diverse coastline of the island, adding a sense of adventure to your relaxing beach holiday. Tenerife is known the world over as being a fantastic holiday destination for those wanting a break at a cheap and cheerful resort where they can soak up some sun in the daytime and let their hair down in the evening. What you might not know, however, is that this Spanish island also contains a wealth of picturesque villages and towns that are ideal if you are hoping to get away from it all. Indeed, by heading away from Tenerife’s most touristy resorts you will have the chance to get an authentic experience of local life and come across stunning landmarks and destinations that many tourists just don’t get to see. Your first step in uncovering the isle’s hidden gems ought to be to book a flight and accommodation (the former being something you can do through low-cost airlines like Monarch). Once you’ve done that, you can focus on discovering some of the following. 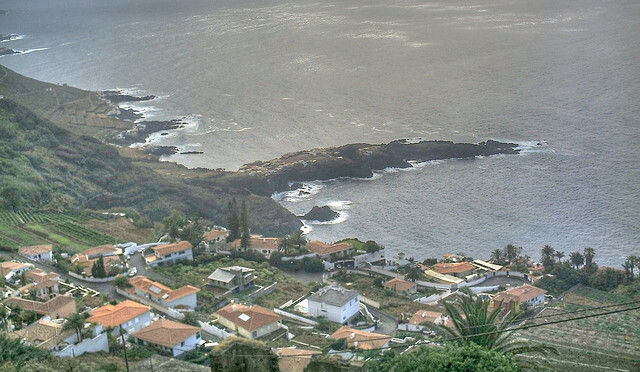 Head to the south of the island and you’ll find the quiet, yet charming, village of Arico, Tenerife. Set in a secluded valley, this settlement is the ideal place to visit if you are hoping to get away from it all and relax. Although it is much quieter than bustling resorts like Santa Cruz and Costa Adeje, that isn’t to say there’s not plenty to keep you enthralled, with the beaches here providing good conditions for swimming and scuba diving. There is the chance to participate in fun sports such as rock climbing, while swimming pools and tennis courts are also available to use. Make sure you take the time to go on a walk through the village so that you can appreciate the beauty of its whitewashed buildings. Among the most fascinating landmarks that you’ll get to see is the church and, upon stepping inside, you can take in La Virgin de Tajo y Nino, a precious work of art depicting Jesus and the Virgin Mary that dates back to the 16th century. Located on Tenerife’s north-west coastline, El Sauzal is the perfect destination for those who want to enjoy the island’s blissful weather but would prefer to do so in a resort that hasn’t experienced mass commercial development. Agriculture is a key industry for the rural town and, with citrus fruits, vegetables and cereals all grown here, it’s the ideal spot for keen foodies to visit. Wine is another locally made product and there are a number of vineyards in the vicinity that you can visit to learn more about how the drink is produced – you can even enjoy wine tastings in their cellars! For an even greater insight into the local wine industry, stop by the Casa del Vino la Baranda (wine museum) where you can enjoy some locally-made vintages alongside traditional Canary Island meals at the onsite restaurant. The tiny village of Chirch is another fantastic place to visit if you want to see a quieter side to Tenerife. Come here and you’ll find an array of classic Spanish architecture, while traditional ovens that were once used to make roof tiles can also be spotted. Head to Chirch’s summit, meanwhile, and you can soak up fantastic panoramic views, with the islands of El Hierro and La Gomera visible on a clear day. On July 10th, the village celebrates the Day of the Traditions festival – a day-long event that sees residents recreate the customs and day-to-day activities of the town in the early 20th century. This affects everything from the games that children play to the domestic chores that are carried out, with everybody wearing traditional attire.